Everything you know about WordPress is about to change. 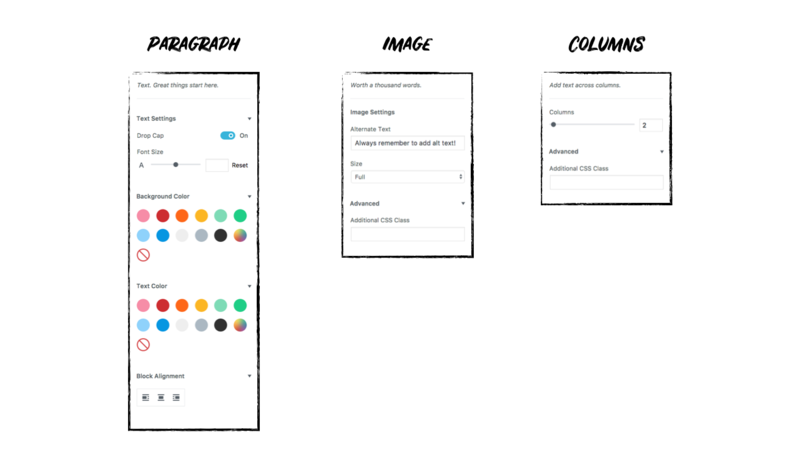 The project codenamed "Gutenberg" is reimagining what content creation and editing on the web should look like and how it should work. Some time in 2018 the way WordPress works and the way you work with WordPress will change in a fundamental way, whether you are a visitor, a content creator, an administrator, a designer, or a developer. Last weekend I had the privilege of presenting a talk titled "Gutenberg and the WordPress of Tomorrow" at WordCamp US in Nashville. You can view the video below and slides below. Once you're done, keep scrolling to see the three things you need to know as WordPress moves into the future. 1. Gutenberg is coming, fast. Be prepared. The project will probably reach maturity around April 2018 and I expect WordPress 5.0 will ship with this new interface to every WordPress site around June/July 2018. That means right now you have roughly 6 months to prepare. Familiarize yourself with Gutenberg by installing the plugin on an experimental site. Train your contributors / staff on content creation and management using Gutenberg. Check with the developers of your themes and plugins that they are preparing for Gutenberg. As the release gets closer, start testing your sites with Gutenberg to ensure everything works properly. 2. Gutenberg is not just an editor replacement, it changes everything! The core concept of Gutenberg is every item you add to WordPress is a "block". 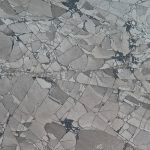 Every heading, paragraph, image, blockquote, list, and other content you add is a block, and every block has unique properties and settings. That means when you create content, you can work with and customize each individual block, move those blocks around, and even make individual blocks reusable so you can build them once and use them in different locations and different views. Notice how I said "views", not "posts and pages"? This is key: The current version of Gutenberg replaces the content editor. That's step one. Once it merges into WordPress proper, the project will expand its scope to encompass the Customizer, and eventually the way we create and mange content in WordPress will undergo a complete overhaul. Today we think of creating posts and pages. In the WordPress of Tomorrow, we will be making blocksand placing them in views. As weird as it sounds, the concept of post and pages is going away, and along with it the WordPress theme as we know it will likely fall to the wayside replaced by something all together different. 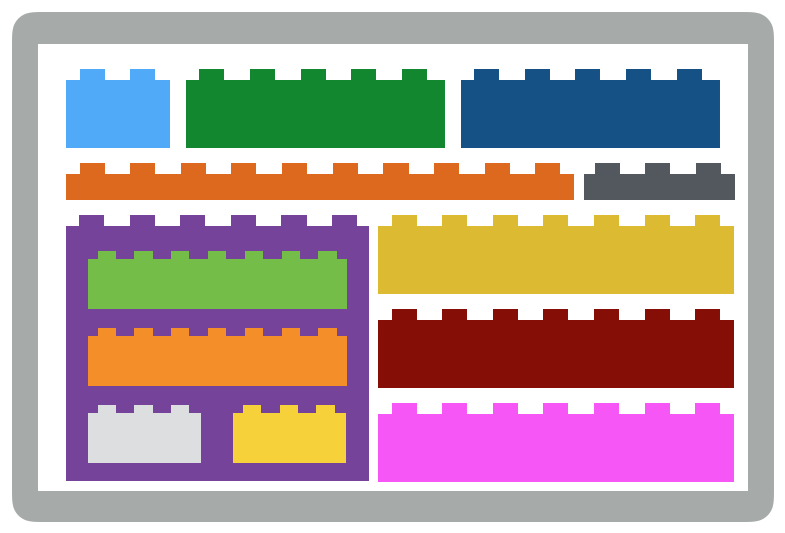 To wrap your head around this, imagine every piece of content you create as a literal building block and the environment (or view) the visitor accesses a space where you can place and organize those blocks in any combination and configuration you want. Then realize the current limitation of the browser viewport (the rectangular area within the screen you probably use to access the web) is going away thanks to everything from text-to-speech browsers to VR/AR/MR/XR. 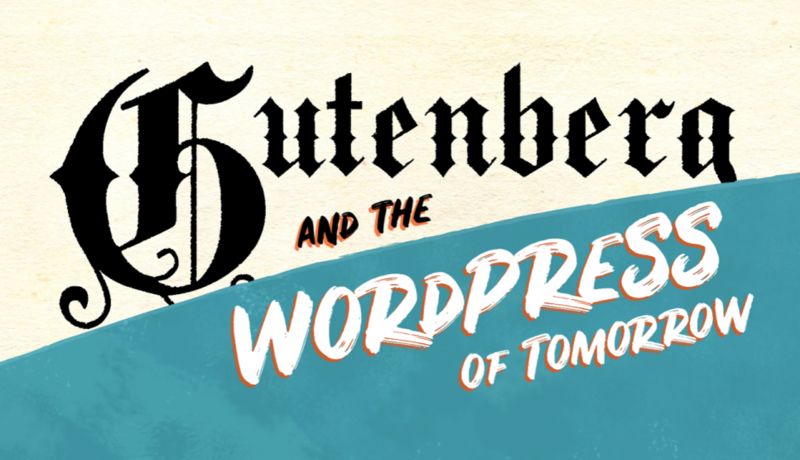 Bottom line: The way we interact with content on the web is changing in a fundamental way and Gutenberg is what can bring WordPress into that future. Which brings me to the final point: Gutenberg is not ready, and the Gutenberg team needs your input and help to get the project and WordPress where it needs to go. Whether you are an absolute beginner and just started using WordPress yesterday or you have been contributing to WordPress core since the first line of code was written, your input is vital for the success of the project. Familiarize yourself with project Gutenberg. Test the beta plugin by setting up a dummy site and trying out all the features. 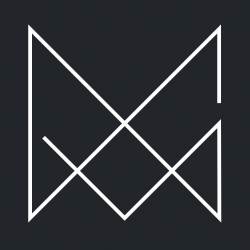 Provide general feedback about the project. Take part in user testing by running the official usability test on yourself and helping others do the test. Take part in conversations about Gutenberg in the Issues panel on the GitHub repo. File your own proposals, ideas, and bugs as issues on GitHub. Engage in conversations about Gutenberg on social media using the #Gutenberghashtag. Write blog posts and publish your own ideas about what Gutenberg is, what it can be, and where you'd like to see the project go next. Start thinking about how Gutenberg and blocks can help you do your job more effectively. Start preparing your themes and plugins for blocks in the editor and blocks beyond the editor. Start thinking about what WordPress will look like without posts and pages, and what the web will look like without screens and viewports. These are exciting times and we are privileged to be part of a community that values every member and hears every voice. Your contributions matter. Make your voice heard! This article was cross-posted on LinkedIn Pulse.